Back in January we raised a cow for Heifer International. It’s time to do it again. This benefit is dear to me for many reasons. First and foremost, Heifer International is a charity that is very special to my family. Both my son and my brother actively raise funds to support Heifer. The other special factors for me: the various people involved, all of whom are talented, creative, generous individuals. We raised a cow in January. We can surely raise at least one cow on Sunday. 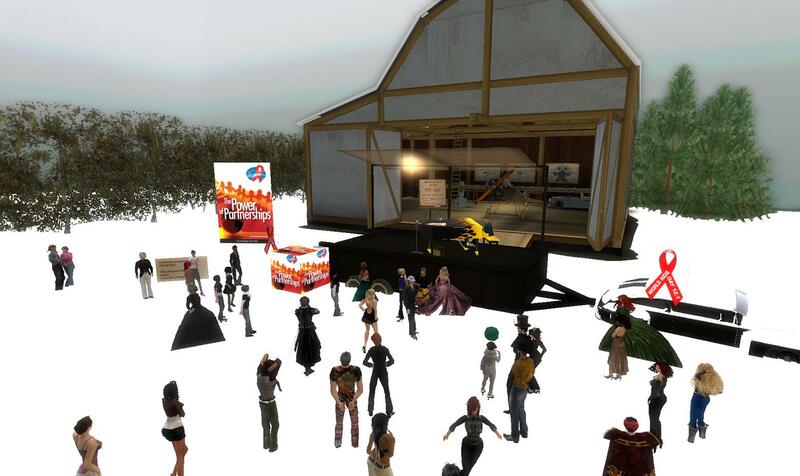 On Sunday, May 31, sunset will fall at AM Radio’s The Refuge and the Expansion. Please join us for a final benefit concert to raise funds for Heifer International. 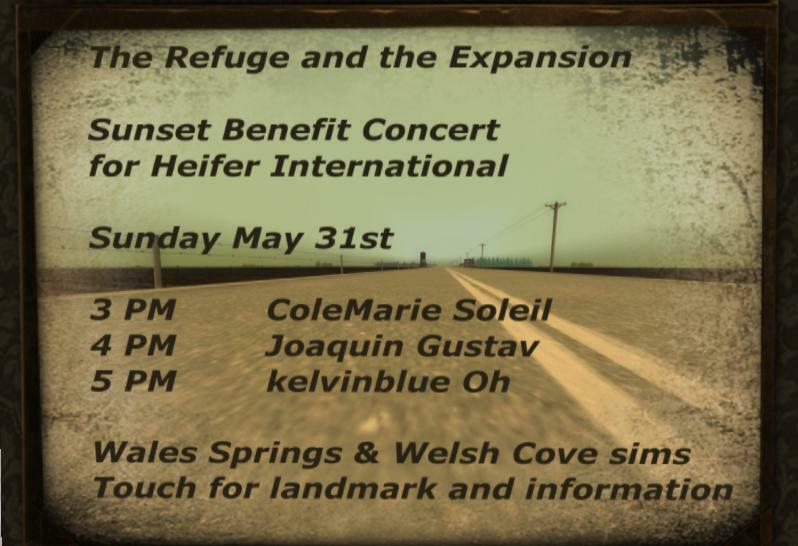 These performers return to The Refuge and once again are donating their time, talents and tips to Heifer International. Please donate generously to show your appreciation for their performances and their generosity. Yep. I was sold yesterday. Auctioned off to benefit Cancer Research UK. As you probably guessed, I was stressing about the event. 🙂 How unlike me, no? Just when I think I am finally getting used to SL, that I am maybe NOT such a newbie anymore, an event like this comes around. I’d never been to an auction before. I understood the concept, but never saw one or participated. I think I was expecting something semi-orderly. *grin* I am soooo naive. I am not saying that the C2P folk were not organized. No, no, no. NOT what I mean at ALL. I mean that people are crazy. 🙂 There were dozens upon dozens of people all gathered at the C2P. And EVERYONE was chatting in local chat at the same time!!!!! Do you have any idea how FAST that text scrolls when EVERYONE has something to say? Then add all the people who are IM’ing you as well. Don’t forget that I was already stressing – having that “narrowing focus, pain-in-chest, rapid breathing, hard to concentrate” kind of stress. I was totally confused through most of the first auction. 🙂 I finally started closing IMs and ignoring everyone except one or two people who were answering MY questions. *grin* I never even read the chat til hours after the event was done. First, I have to thank my friends. Blanche DuBois may have had to rely on the kindness of strangers, but I am never without the support and generosity of my friends. So many of you came there to bid on me, keep me company, make me laugh. I am so touched and flattered by your kindness. I had friends who couldn’t be there themselves who sent surrogates to bid on me. You are all wonderful. You are the reason why SL is not so “second” and why I love my life there. Friends make my world. When I went up on that auction pillow, I did indeed feel like a deer in the headlights. As I focused in on the chat around me and listened to you all, I knew that everything was alright. *Hugs* to you all. Thank you to everyone who bid on me, helping to up the price and raise more for Cancer Research UK. That, after all, is why we were all there. The full line of my pictures are up on Flickr, as always. I thought about posting part of the chat here, but decided there is a limit to how much I am willing to humiliate myself for your amusement. 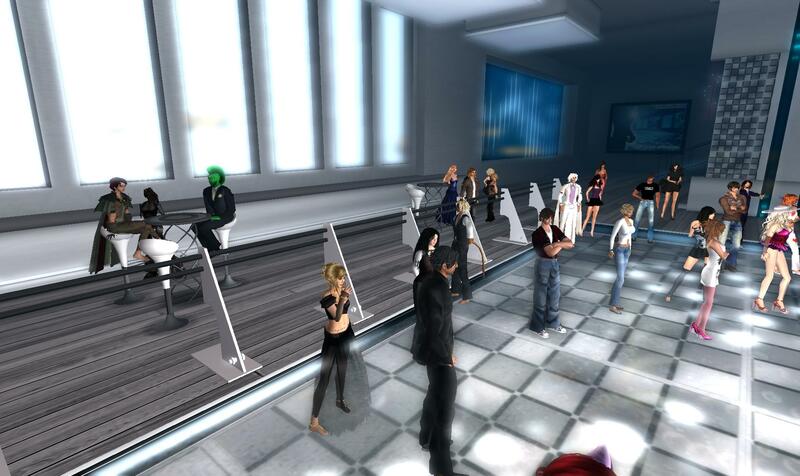 🙂 I’m not even talking about all the rude things they were saying about me as they auctioned me off (Prad – you and I HAVE to talk – wherever did you hear THAT rumor???) or about the dire fates for which they claimed they were purchasing me (only “belly dancing for newbies” is fit to print on my blog). Even more embarrassing than that is my total lack of comment through the majority of my auction. *grin* I believe I managed 3 comments in all, mostly along the line of /me blushes and /me blushes more. The only thing I could think to do when I heard the final result was to faint. *grin* Both at the amount and the winner. More than that – hey, next time YOU show up at the auction if you want to know what happened. OMG. WHAT have I done? I can’t believe I’ve really agreed to let myself be auctioned off. I’ve gone from fearing that no one will bid on me to imagining the worst. 😦 Anyone out there know the play “Oklahoma“? Remember when they are auctioning off the picnic baskets??? OMG. What if Jud wants to buy me??? Where is Curly????? OMG OMG OMG. And what do I WEAR???? Do I dress in my usual jeans and boots? Do I dress up? I’ll tell you right now – my son is not finding this humorous so do not even suggest slave silks as a joke. I am ransacking my inventory trying to find the appropriate attire. I think there are probably other things I can do, within REASON, thank you very much! 🙂 , but that should be enough for a start. 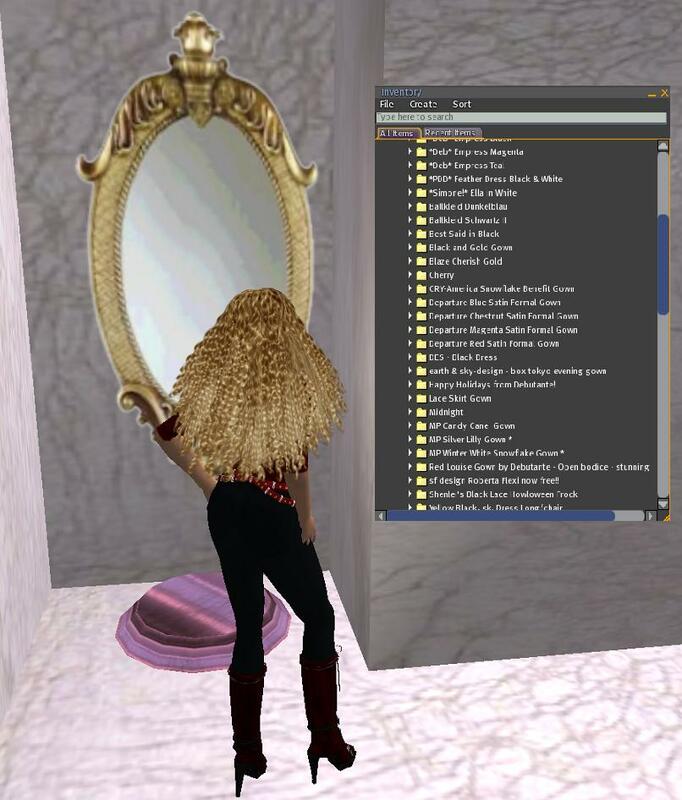 Of course, that assumes that I can figure out what to wear and actually make it to the auction today at 1pm SLT. 🙂 Remember – it’s a good cause – raising money for Cancer Research UK. So even if you don’t want me, you may want someone else up on the block. Or you can just contribute for the cause! See you soon! Sigh. Yeah, it’s true. I’m being auctioned off. I really don’t have a good feeling about this, I have to tell you. But, my friends come through for me when I need them and so, well, I simply will have to come through for them. I am stealing the next few paragraphs directly from Landsend’s post. Yes, I know that is morally reprehensible, but I am sooooo tired I simply can’t think straight enough to write my own. 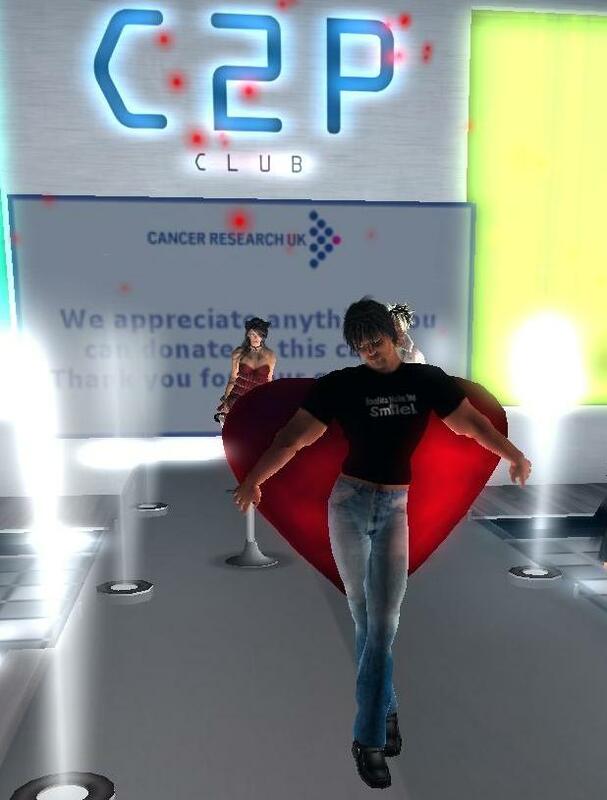 On February 8th, at 1pm SLT, Crown & Pearl is auctioning off “dates” to raise funds for Cancer Research UK. It will be a large event so we’ll shift down to the new club – C2P – at Angel Square for it. It’s quite simple really: People get bid on and all proceeds go to the charity, and what you get if you “win” the person is a “date”. The date doesn’t necessitate anything dodgy (well unless you both really want it to!). It’s just buying an hour with the person’s charming company, for the sake of a damn good charity. So there you have it. Now’s your chance to buy Ahuva Heliosense for an hour. Anyone need a script? 🙂 I also can plant flowers. I’m sure I have other talents. Let me go read my blog and see what it is that I think I can do. *grin* But please – someone – come bid. Because it will be so embarrassing if I have to buy myself. I have a sailboat – want to go sailing? I like to dance – want to go to a club? I have a plane (thank you again, Dark!!!) – want to go flying? I”m sure I’d be a very fun date for an hour. Please??? Tis the season for good causes and giving. That is because it is ALWAYS the season for good causes and giving. The first good cause was the day long concert for the World AIDS Day charity concert event. It was held at the Refuge and Expansion by AM Radio in Wales Springs. Alexandar Vargas and Caspian Inglewood provided the sims. I believe that the organizers/promoters were Callipygian Christiansen, Teann Bellic and Cre8tivefemme Chemistry. There was good live music all day. I tp’d in wearing my standard tank top and immediately discovered that I needed a jacket – it was snowing! 🙂 It’s not too late to contribute to the Stephen Lewis Foundation. You did miss the music (I didn’t, despite freezing my feet in the deep snow – do you see me ankle-deep?) but you can still help out. The second good cause was….. um….. well, actually…. me. 🙂 You may have heard that it takes a village to raise a child. Well, to help an Ahuva, it takes a sledful of friends. Hey – I NEEDED invitations to send out to everyone for MY party on saturday!! (Did I mention that I am throwing a party Dec 6 at the Crown and Pearl??? 🙂 ) But I’ve never made an invitation before. I’ve gotten invitations. I know that they should look nice, open up, give you all the relevant information. But I didn’t know how to shove that information into an invitation. So the Crown and Pearl regulars rode to my rescue. Natalya, HellspawneD and Mowgli attempted to teach me, both in voice and text, how to create an invitation. But I was being extremely blonde…. I simply could not focus on what they were telling me. (I plead RL distractions!!!) Finally Natalya simply created the whole thing, assisted with (probably unnecessary) comments and suggestions from Hell and Mowgli and then GAVE me the invitation. All I had to do was fill in the blank note card. And THAT, my children, is how you got your invitations. 🙂 Thank you Nat, Hell, & Mowgli (my new friend)! 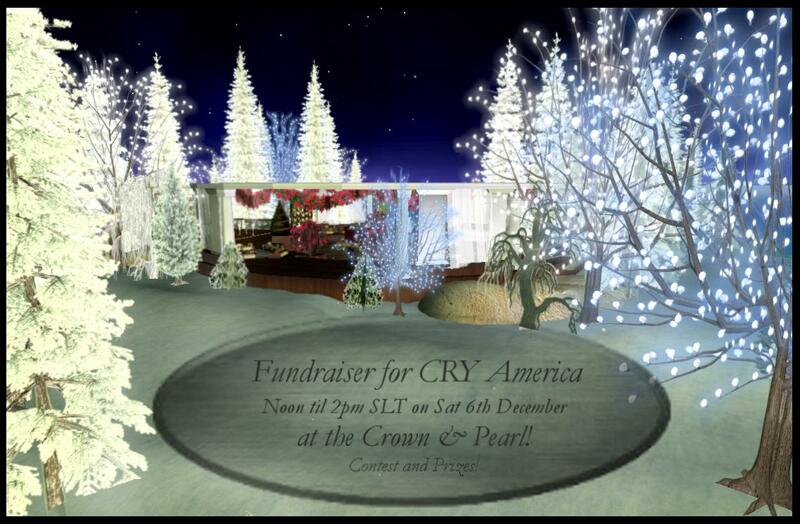 Of course the third good cause is the fundraising party at the Crown and Pearl this Saturday, Dec 6, noon to 2pm SLT. Be there or be square!!! (Yes – every post between now and then will mention it.) Come laugh, have fun, be silly and raise money for CRY America.